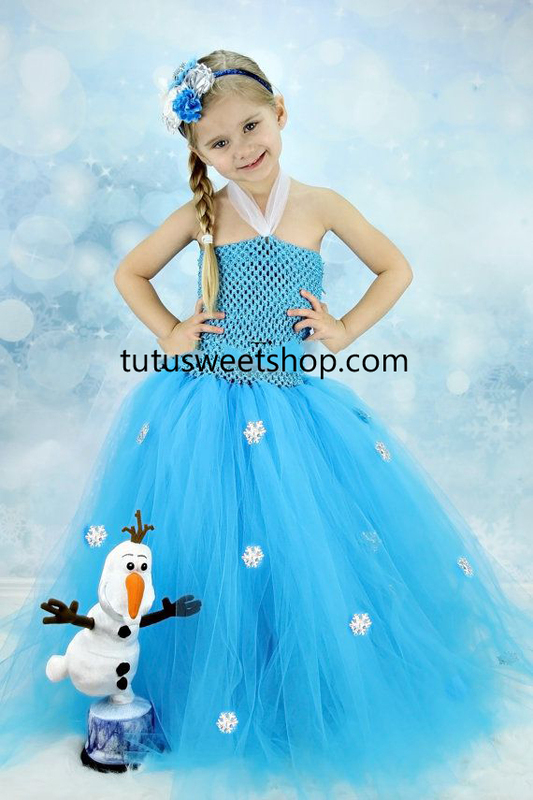 Is your little princess a fan of Elsa from Frozen? If so this is the perfect dress for her. 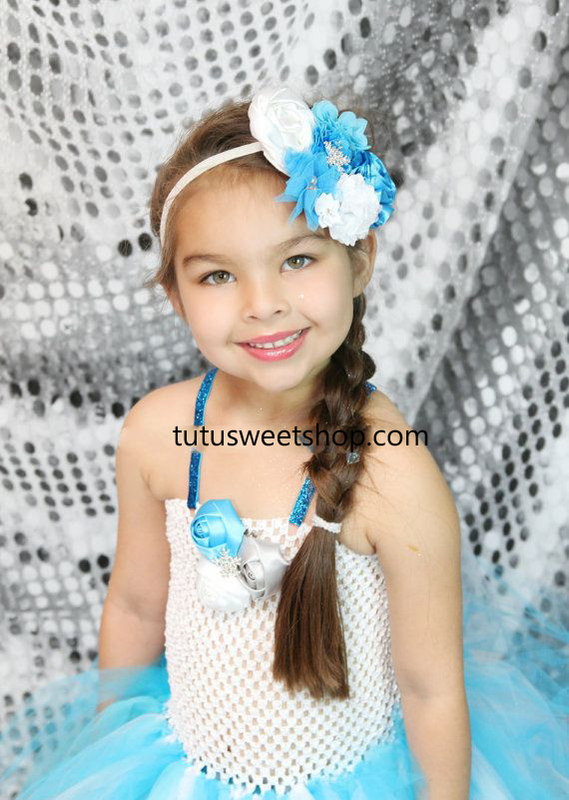 It's perfect for dress up parties, Halloween, birthday's and more! 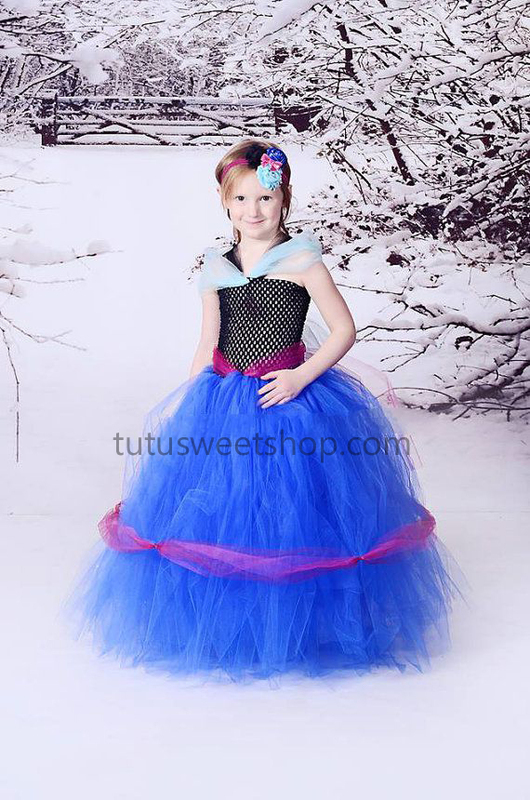 Our handmade Elsa inspired tutu dress costume is the 10th dress in our New collection of princess inspired dresses. This Elsa inspired dress is made to look like the dress Disney's newest princess wears in the movie. Crochet top is accented with a flower snowflake clip and a tulle cape attached. Dress is made from tulle, which is color coordinated to look like her dress in the movie. This beautiful dress is topped off with a glitter elastic straps for comfort and durability. Tops stretch to approximately 23 inches for size 5 and under. Top will be larger based off of the size you order. Please measure for fit, as no returns are accepted. Dress is made from tulle, which is color coordinated to look like her dress in the movie. NOTE: Please specify how tall your princess is when ordering. This dress is meant to be floor length, so we will need to know how long to make it for the perfect fit. Want the hair accessory too? Super! Simply add the option above. This item is custom made to order in the US. Please allow 2 weeks for this item to ship. This item does not ship internationally.